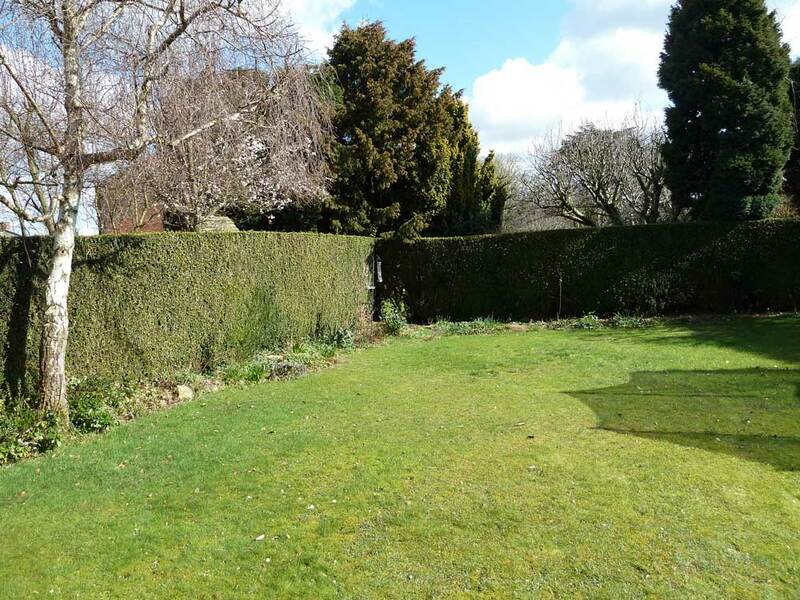 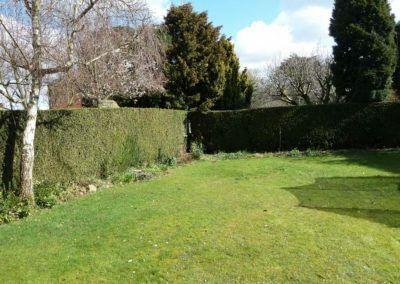 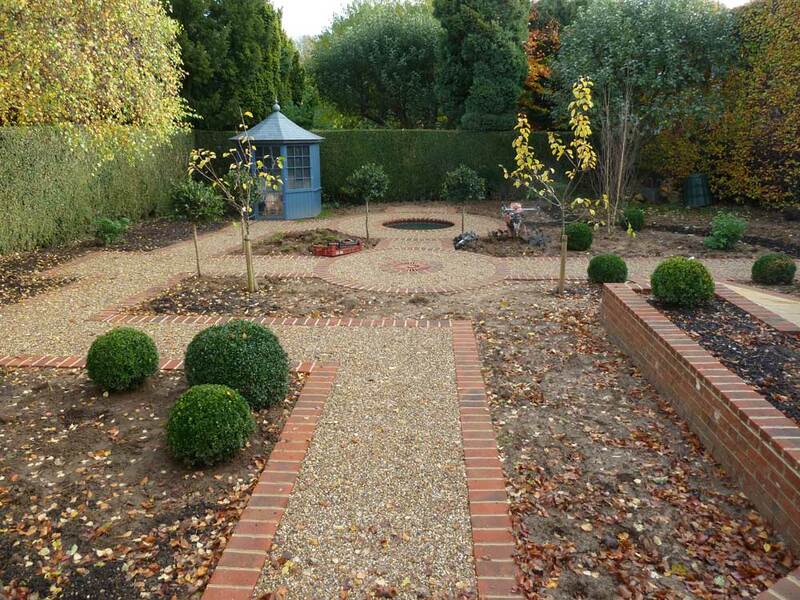 This garden was for a retired couple, looking for a complete transformation. 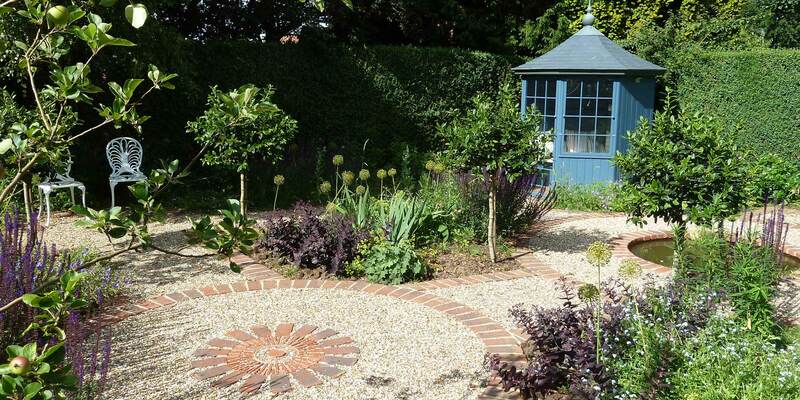 A garden that would look good from inside the house as well as encouraging time spent outdoors. 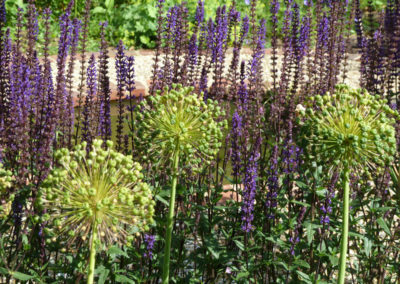 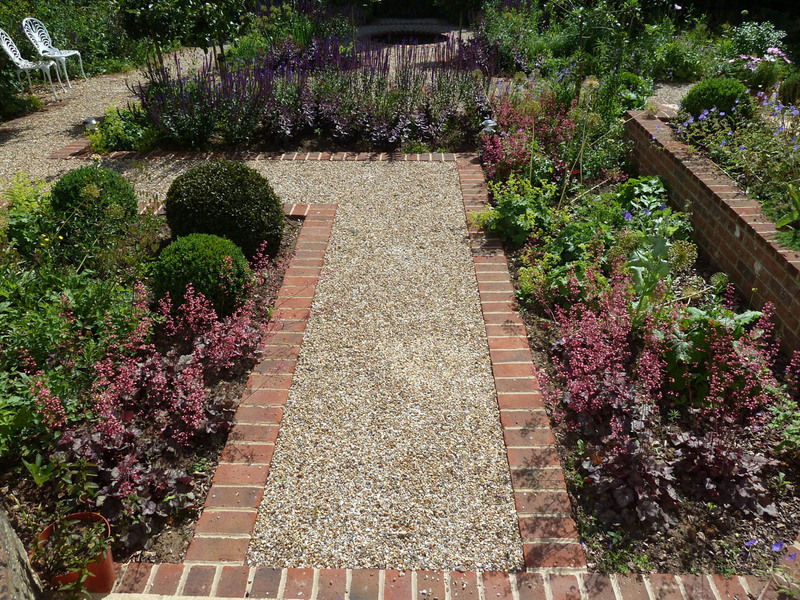 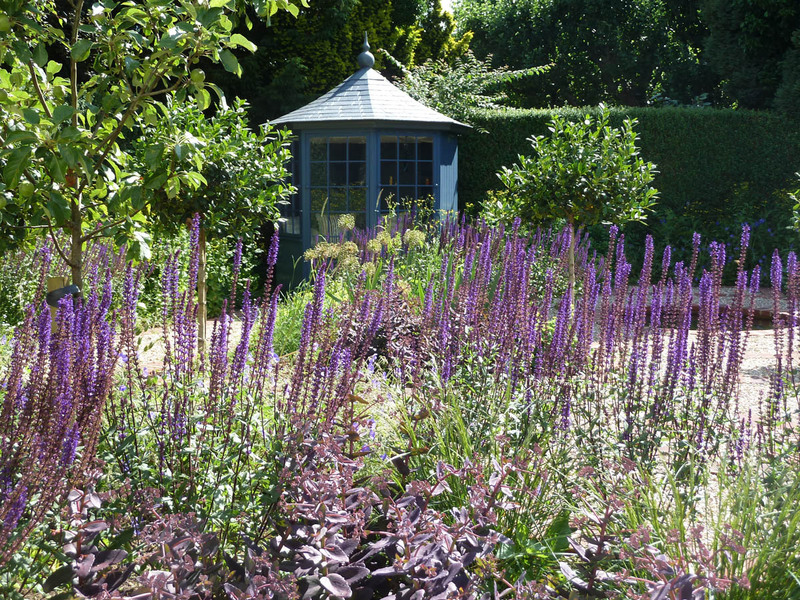 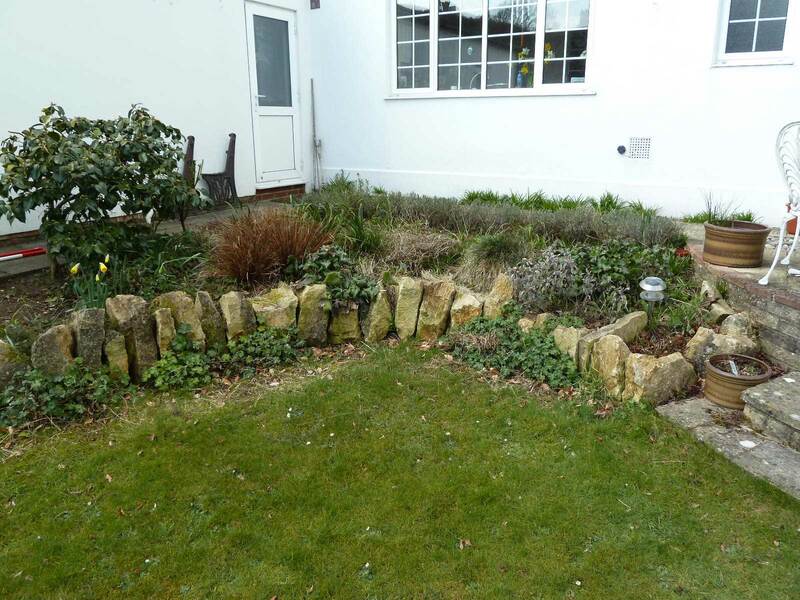 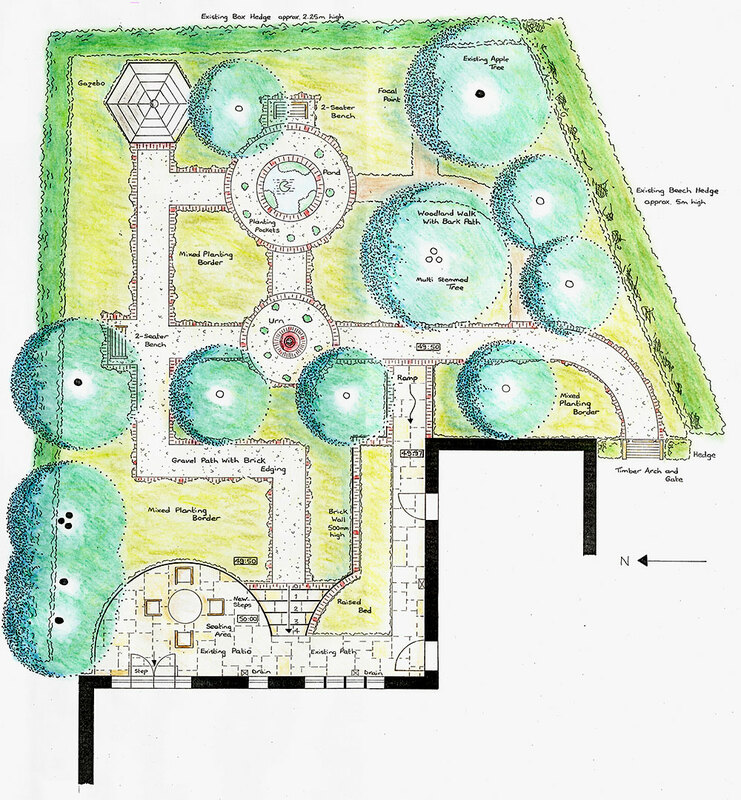 They wanted areas to relax and entertain with planting and features designed to encourage wildlife into the garden. 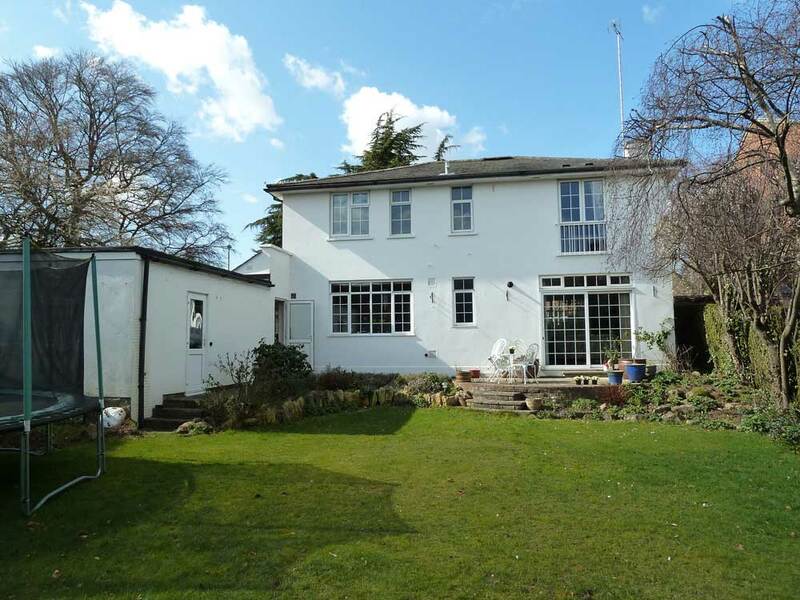 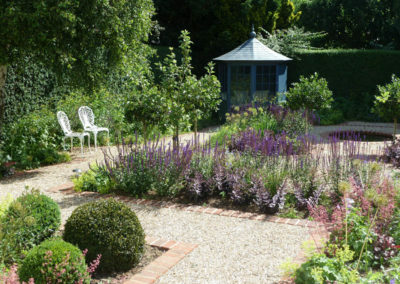 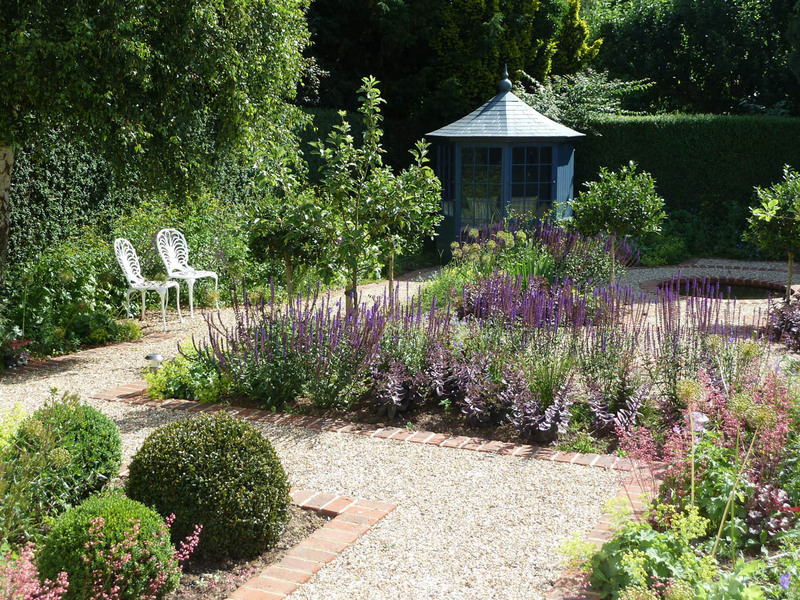 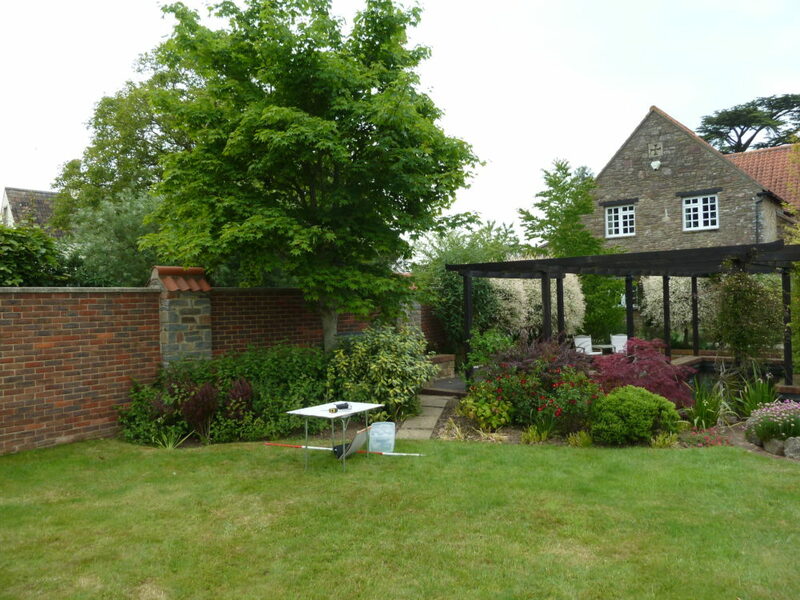 The style of the garden is a mixture of formal and informal elements. 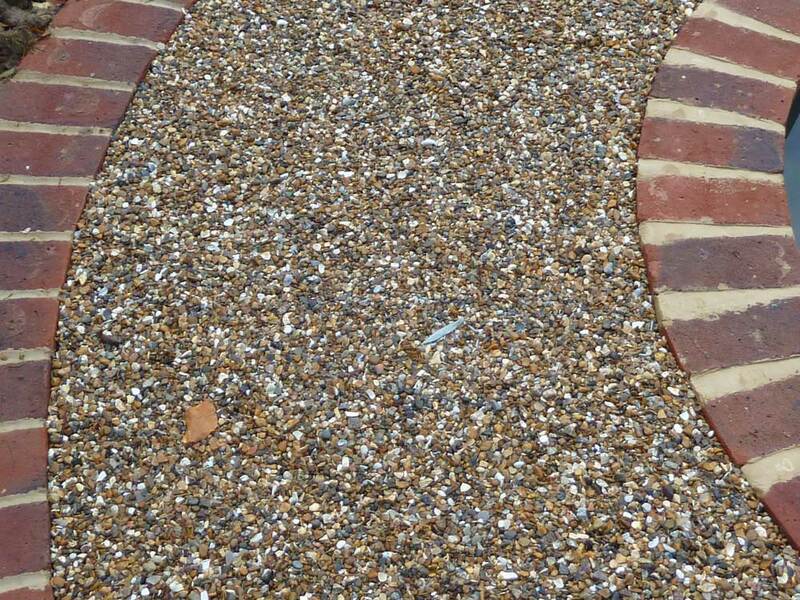 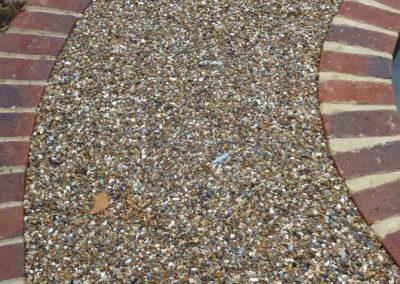 From the patio area steps lead down to a gravel path edged with brick. 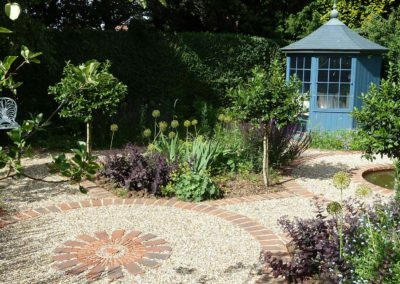 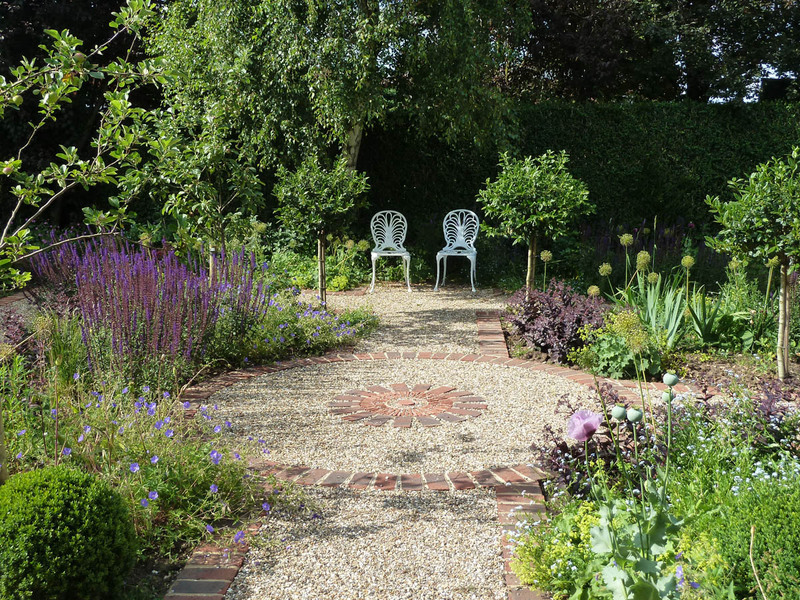 The path takes you on a journey through the garden, surrounded by mixed borders packed with plants to attract a variety of wildlife throughout the seasons. 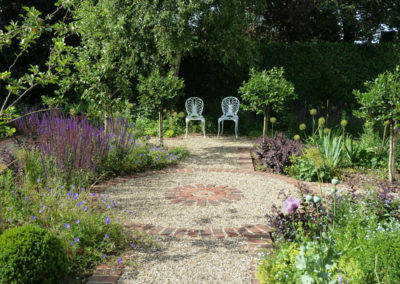 Places to sit allow time to relax and enjoy different views of the garden. 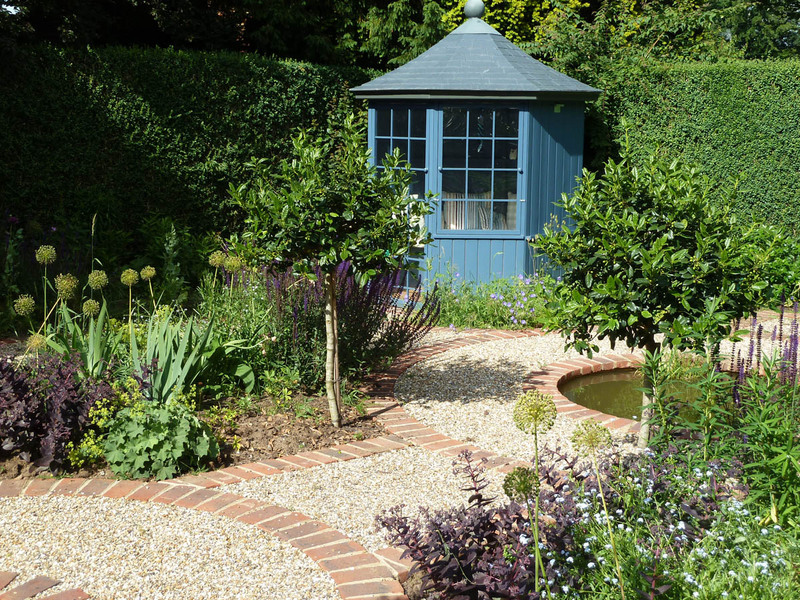 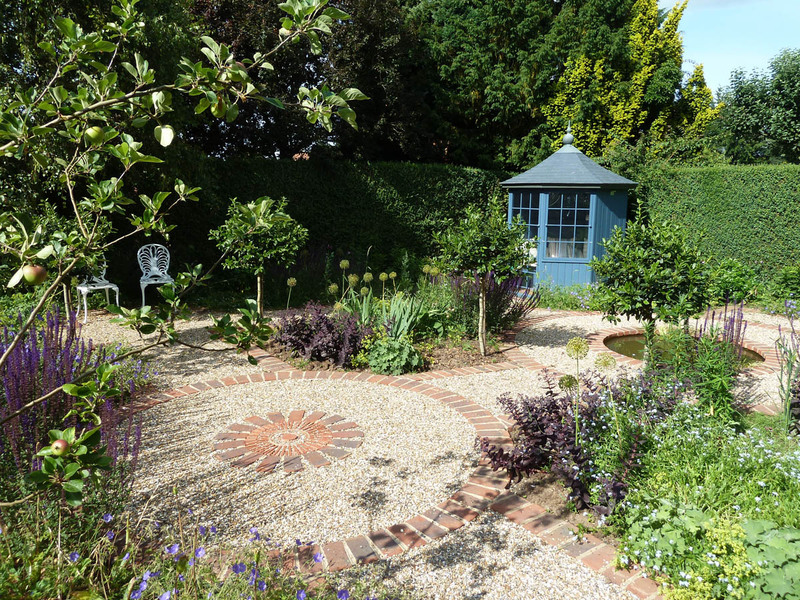 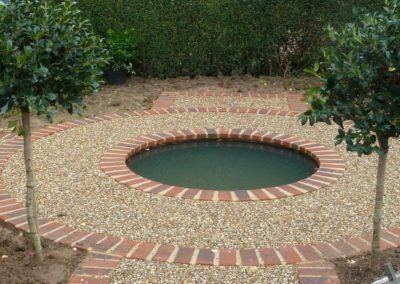 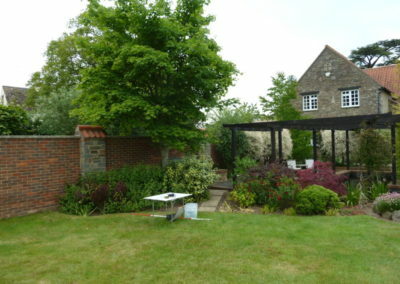 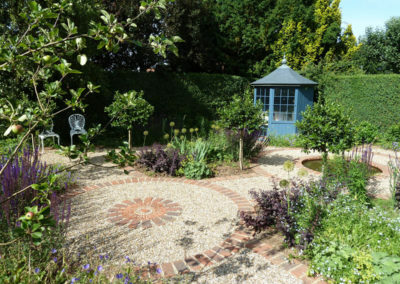 A small circular pond provides another area of interest, the shape of which harmonises with the other formal elements, including a painted gazebo at the end of the garden. A curved bark path takes you through a woodland area, the feel of this part of the garden is in contrast to the sunnier formal brick edged gravel paths and shapes of the pond and Urn feature. 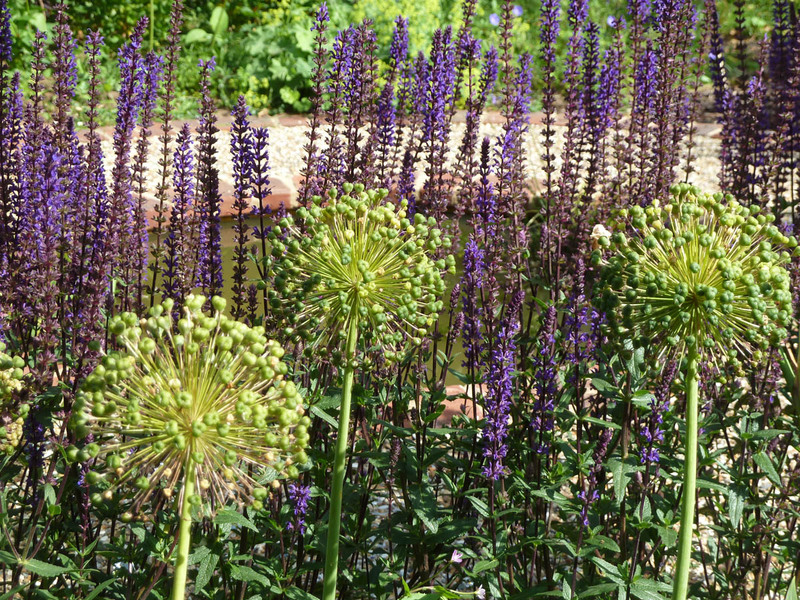 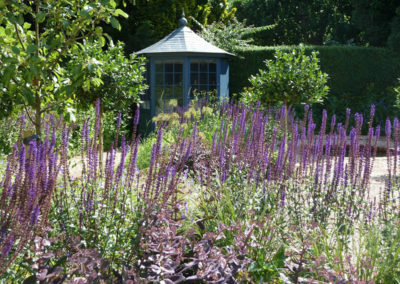 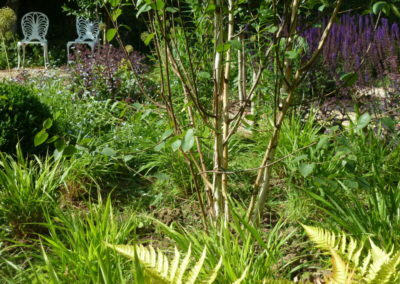 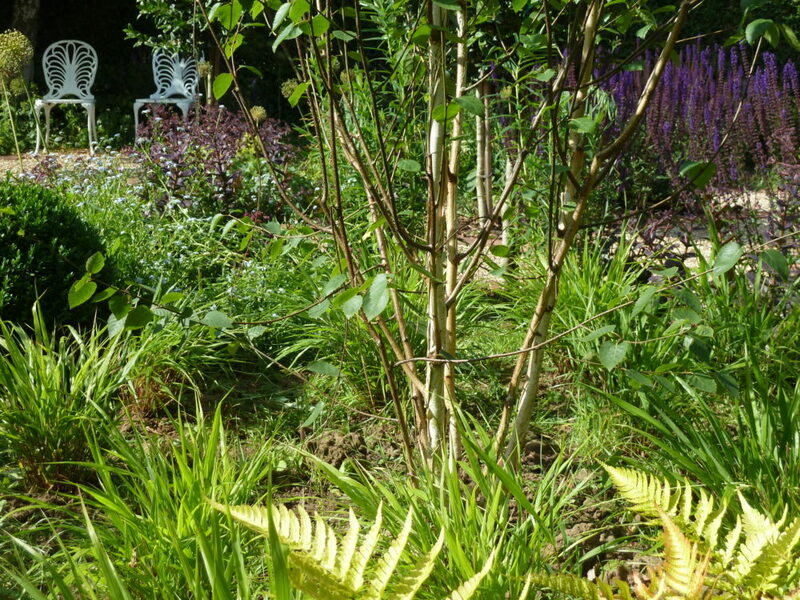 A mixture of shrubs and perennials provides all year round interest while ensuring a healthy abundance of wildlife. 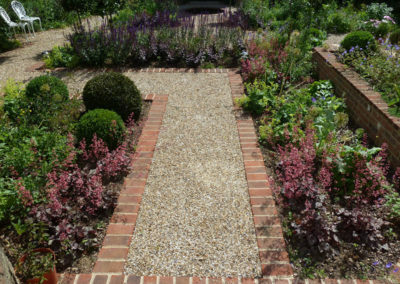 Andy was great at listening and really trying to understand what we wanted and how we would use the garden space. 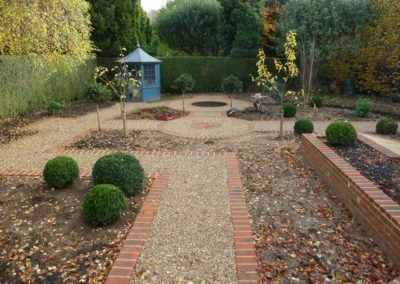 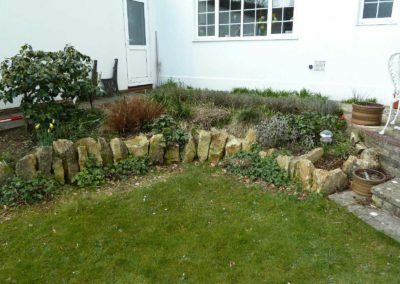 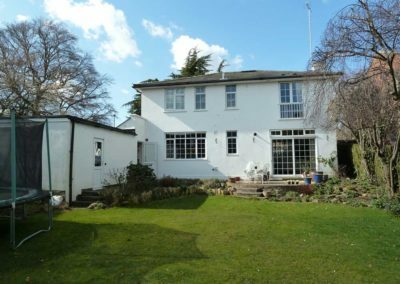 The design was perfect and even though we had our own builder do the hard landscaping, Andy fully supported the project throughout.